Personally, it's also what I admire the most about sports. I would argue that no film can match the dramatic quality of a live sporting event - and just like movies, the best moments in sports are due to good story lines. One common theme in movies is the idea of cheering for the underdog, which we often do in sports as well. But what if the underdog is someone that we've been told to fear historically? The Cold War between the United States and the Soviet Union lasted all the way through my childhood, and while I certainly wasn't old enough to experience the most tense moments of the conflict during its formative years (my father has some hilarious stories of the "air raid drills" he endured throughout junior high school), I vividly remember President Ronald Reagan instilling hatred and fear of this potential enemy into our minds during the 1980's. I also wasn't quite old enough to remember the 1980 Winter Olympics in Lake Placid, New York - site of arguably the most dramatic moment in sports history, the "Miracle on Ice" game between the US and Soviet hockey teams. When Disney announced they would be making a film based on the events surrounding that game, my initial thought was, "How can they possibly make a movie that will be more dramatic than the game itself?" Just before the 35th anniversary of the "Miracle on Ice" game, ESPN debuted the latest addition to their award-winning "30 for 30" series, Of Miracles and Men. 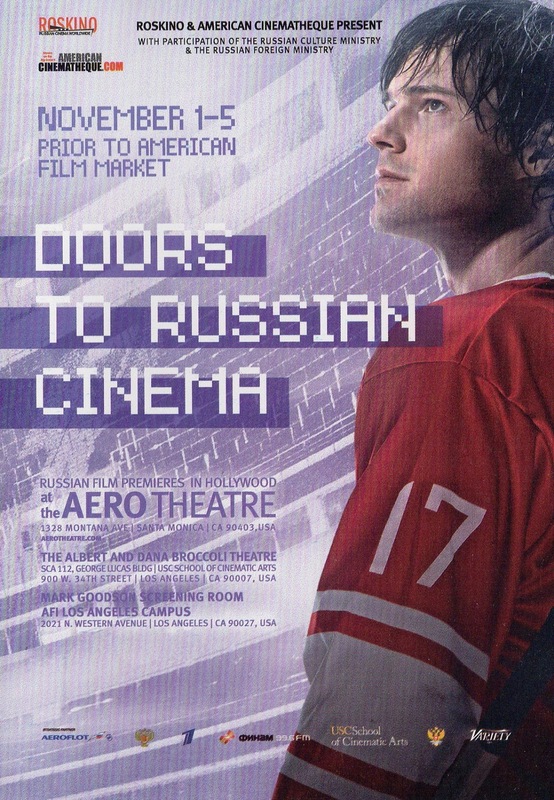 The film, directed by Emmy-winner Jonathan Hock, expertly shows American audiences the internal strife faced by their Soviet foes from that historic game - beginning with the grueling training program and tight structure which led to their hockey dominance in the 1970's, followed by the aftermath of losing to the underdog Americans and their players' eventual acceptance into the NHL. - Finally, the superstar skaters from the 1980's, including four members of the famous "Russian Five" - Alexei Kasatonov, Slava Fetisov, Igor Larionov, Sergei Makarov - who share intricate stories of playing for a nation in turmoil, while aspiring to play with the best professionals in the NHL. Being an ESPN production gives the film the added bonus of being able to license a treasure trove of footage, the most important of which is ABC's Olympic coverage, featuring play-by-play from the legendary Al Michaels. This glimpse into the past is also intertwined with Fetisov and his daughter making a present-day pilgrimage to Lake Placid, his first visit since the Soviet defeat. This juxtaposition is often at the core of films in the "30 For 30" series, and using the context of the foreign players in settings familiar to American sports fans gives Hock the opportunity to both inform and educate them on the dense subject at hand. Premiering at the 2014 Cannes Film Festival, Red Army discusses the dramatic history of Soviet sports, mostly through the eyes of one of its greatest hockey players, Slava Fetisov. Director Gabe Polsky (a hockey player himself, raised by Ukrainian parents) deftly combines archival news reels and poignant interviews to show the overwhelming demands placed upon the players and their families. By choosing to focus on the years surrounding Fetisov's rise to prominence, Polsky also places the viewer in the midst of the tumultuous decline and political upheaval of the Soviet Union during the 1980's. Inevitably due to their respective release dates and subject matter, Red Army and Of Miracles and Men will forever draw comparisons to each other - but as a testament to Polsky's background (he studied politics and history while attending Yale University), he has made a film that rises above the conventions of a typical sports documentary, in an attempt to reach a broader audience who might not watch such films. He succeeds by spotlighting Fetisov, a salt-of-the-Earth everyman who becomes a de facto linchpin for the Soviet political regime - as the athletes under their watch became worldwide phenomenons, they were also used as propagandists for "perestroika" and "glasnost". - Vladimir Krutov, sometimes considered the best player of the vaunted "KLM Line" (with Larionov and Makarov) - his well-publicized failures in the NHL reveal a man who is a shell of his former self, riddled with both guilt and despair for his actions during the turbulent era of which he was an unwilling political spokesperson. The only member of the Russian Five to not appear in Of Miracles and Men, Krutov's inclusion in Red Army is especially sorrowful when the film tells us of his untimely death at age 52, shortly after being interviewed by Polsky. One of the biggest advantages that narrative filmmakers have over their documentarian counterparts is the ability to artificially craft a compelling story and manipulate the audience through sentimentality - and in the case of a biopic, they can strategically recreate actual moments that documentary subjects can only describe with their words. In telling the story of Valeri Kharlamov, arguably Russia's most famous hockey player, the creators of Legend No. 17 successfully demonstrate the principles of this visual medium. I was fortunate enough to attend a screening of Legend No. 17 during a series on contemporary Russian cinema at the Aero Theatre in Santa Monica in 2013. The film, directed by Nikolay Lebedev, traces Kharlamov's life from his infancy in Spain to his eventual superstardom as a young man in his native Russia. While capturing the frenetic pace of hockey on film can prove difficult, Lebedev skillfully handles the unenviable task by constantly keeping the camera in motion and inserting the viewer squarely into the action. In contrast to these scenes are wonderful quiet moments between Kharlamov and his wife, Irina, adding a tender touch to the otherwise masculine aspects of this male-driven sport. - Last, but certainly not least, is the scene-stealing work of Oleg Menshikov, stoically adding grace and gravitas to his portrayal of Kharlamov's coach and mentor, Anatoli Tarasov. While it might seem obvious to use Irina as the emotional center of the film, Lebedev instead turns his eye toward the men directly involved in the sport. As we would learn in the documentaries about the Soviet hockey program, the players would spend a majority of their time together with their coaches, away from their families - as a result, the bond that is formed surpasses common friendship and servitude to become emotionally gripping. Undoubtedly, the most powerful moment in the film features the players from the team embracing their recently-fired coach just before they board a flight to Canada for their most important game. Three films. All weaving a similar tale, told from a slightly different angle, to showcase the captivating history of the Soviet hockey system. While the goal for the players in Of Miracles and Men was to prove they belonged in the upper echelon of athletic greatness as their North American counterparts in the NHL, the players featured in Red Army (in most cases, the exact same men) sought political asylum in the form of Western capitalism. Freed from the oppression of the Soviet regime, these men tell fascinating stories of will and determination, with the help of talented documentarians - and in the case of Legend No. 17, a Russian filmmaker uses vivid recreations of historical events to take you inside the strict regimen of the Soviet sports program itself, ably assisted by gifted performers. By all means, please check out these films if you can. - Of Miracles and Men can be viewed on several online platforms, including Amazon. See Noel Murray's review from the A.V. Club here. - Red Army will be released on DVD/Blu-Ray on June 9. See Ken Campbell's review from The Hockey News here. - As you might imagine, Legend No. 17 can be difficult to locate in North America, though Amazon does sell a DVD-r with English subtitles here. 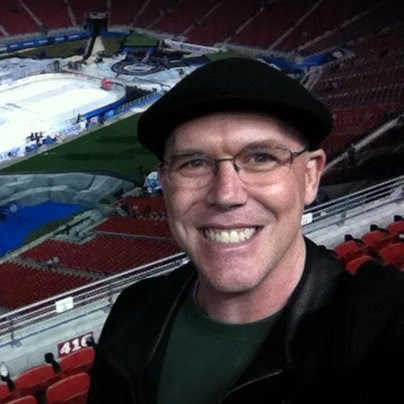 - In 2012, NBC produced a terrific documentary about the 1972 Summit Series between Team Canada and the Soviet Union, entitled "Cold War On Ice" (Game 1 of this series is brought to life, in dramatic fashion, throughout the entire final act of Legend No. 17). At the moment, the film can be found on YouTube.